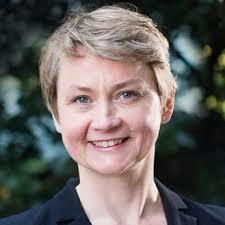 A man has been arrested by police investigating threats made to Labour MP Yvette Cooper. The 59-year-old Leeds man was arrested in Castleford on Friday over alleged threats to the Normanton, Pontefract and Castleford MP. West Yorkshire Police said the man was held “as a result of information received in relation to alleged threats against a serving MP”. He was bailed pending advice from the Crown Prosecution Service, police said. The threat followed the murder of Batley and Spen Labour MP Jo Cox by Thomas Mair, a week before the EU referendum vote.